A quick note of thanks to the Beatles for inspiring the title for this series of posts. 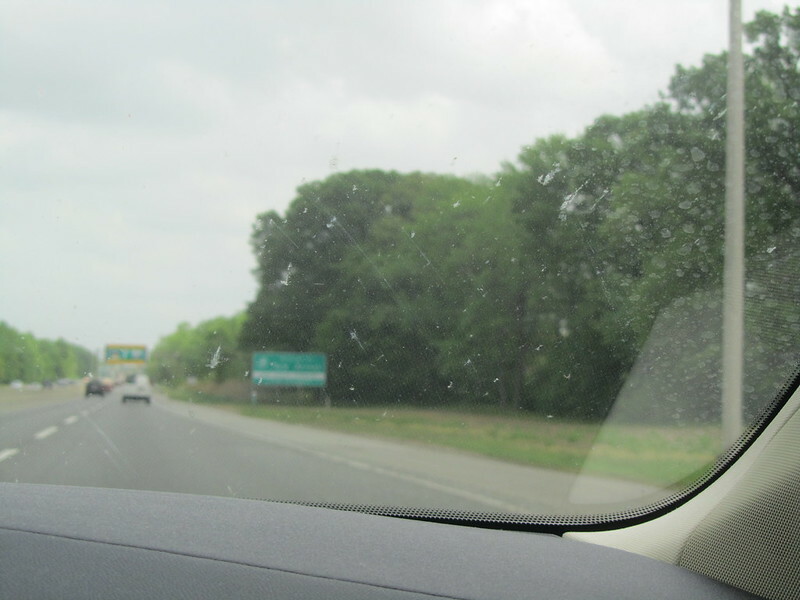 This is the tenth in a series of posts written about our trip that will be published four weeks to the day of the trip. Missed Day 9, click here. So, how was Delaware for the night? It was quite relaxing, actually. Aside from spending the evening with my cousin in Randolph, NJ, we had several goals in New Jersey today. 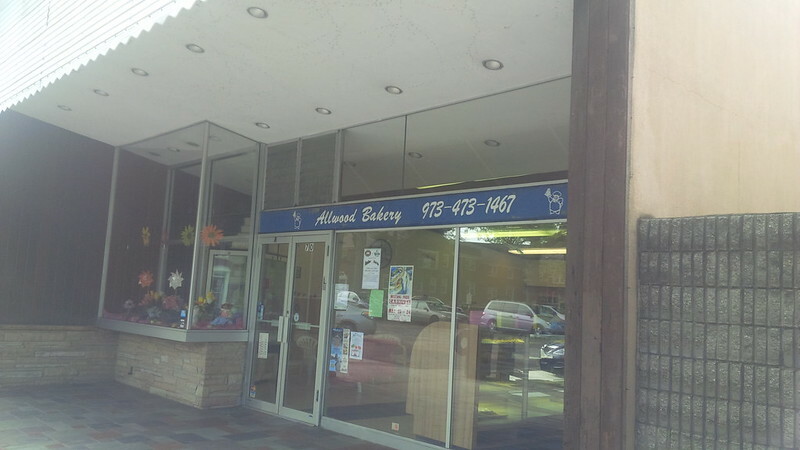 One thing that was high on our list was to pass by the Allwood Bakery (now known as Brothers Bakery of Allwood) in Clifton, NJ and to visit the EV destination of Nauna’s Bella Casa in Montclair, NJ. Prior to reaching New Jersey, we made arrangements to meet some fellow BMW Active E Electronaut alumni (Airton Azevedo, Tom Moloughney, Chris Neff, and Michael Thwaite). 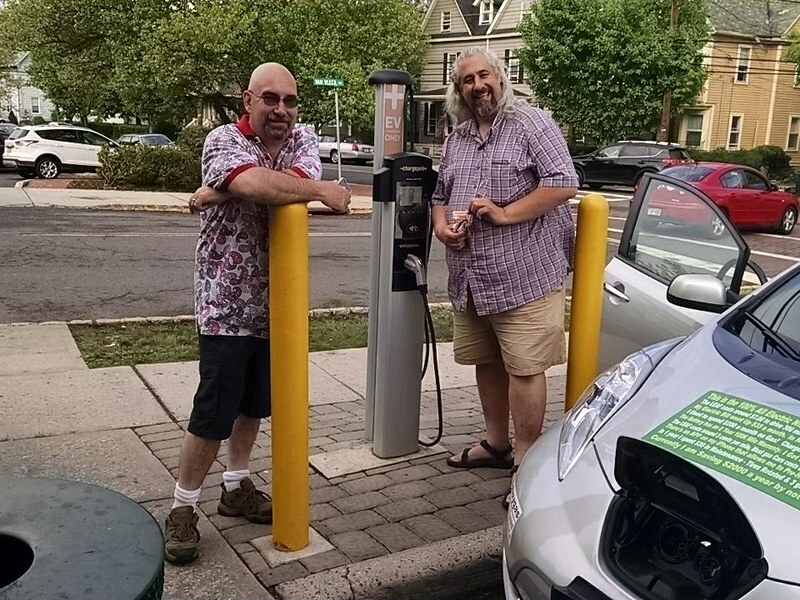 These guys also happen to be involved with the New Jersey Electric Automobile Association (NJEAA), so we scheduled an EV meetup at Nauna’s for 6:00pm that evening. 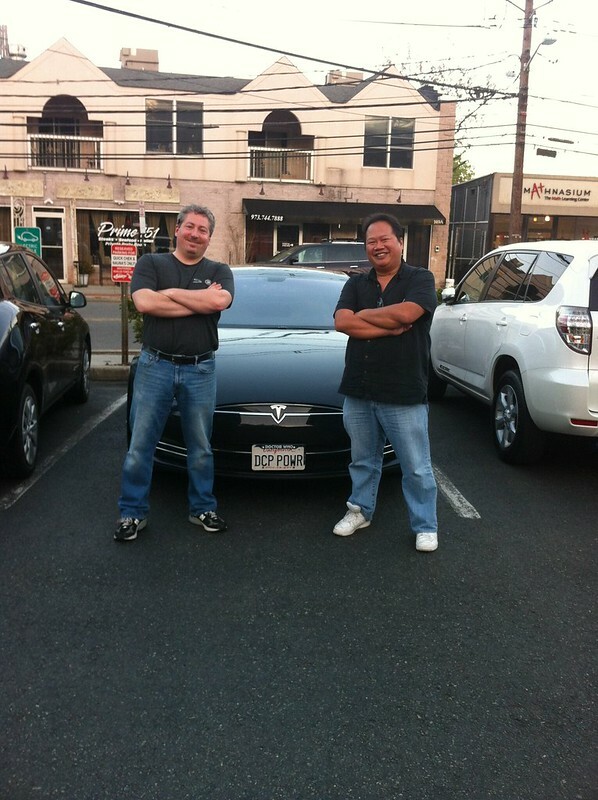 It was an open invitation to other EV drivers, and the guys invited other members of NJEAA and we were glad that they did. But first, we had to get out of our hotel in Delaware. 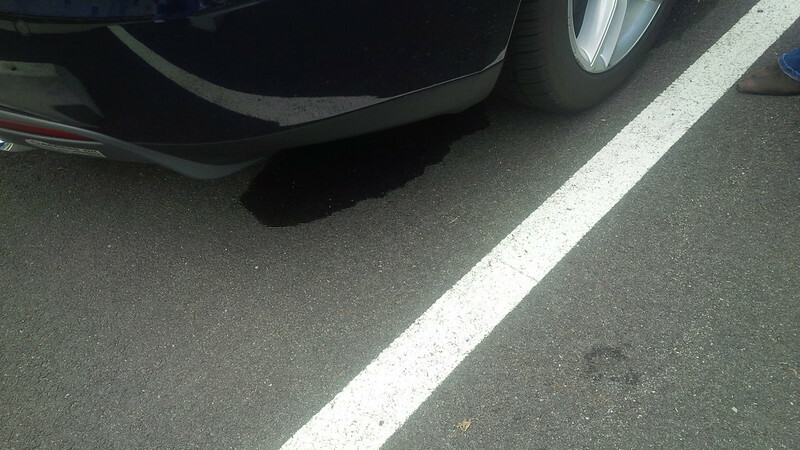 No, the car did not spring a leak. It’s condensation from the preconditioning. So, we lost four miles after pre-conditioning. So, it’s not a great test of what the conditions were overnight. Though I didn’t have a picture of it, I checked my notes and had written down that there was 213 Miles of Rated Range in the morning, so that’s a one mile loss overnight, and another three due to pre-conditioning. 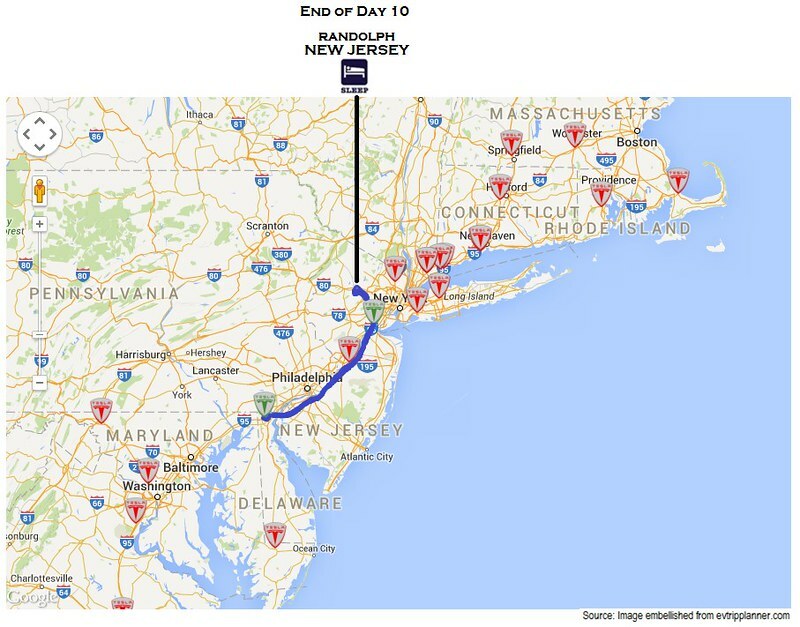 The distance between Newark, DE and Hamilton Marketplace, NJ is around 75 miles, so we had a LOT of buffer. 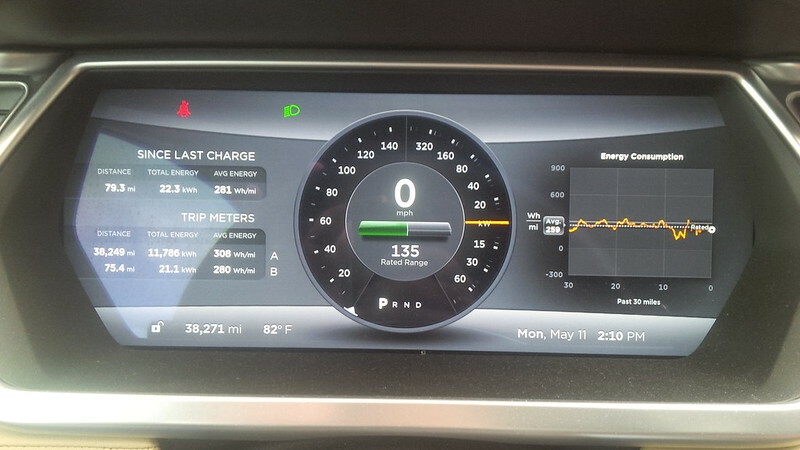 Actually, the distance between Hamilton Marketplace Supercharger and the Edison Supercharger is around 35 miles (or a total of 110 miles,) so we didn’t even need to stop in the next two New Jersey superchargers. 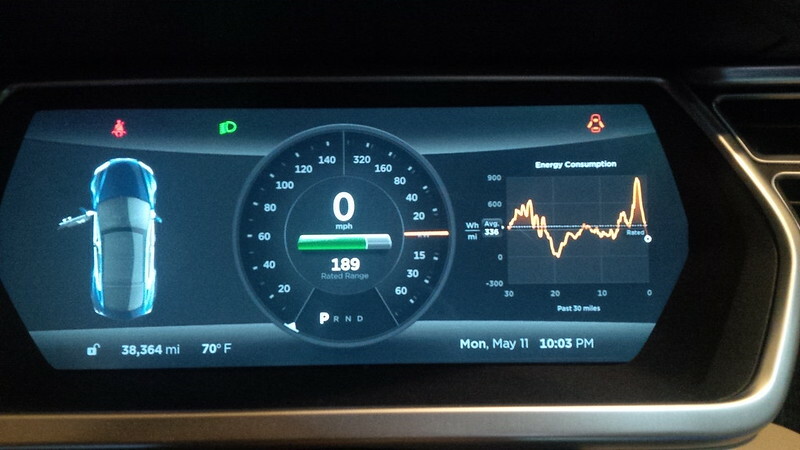 One of the main reasons that we did was to help with the entries for the beta of the (now released) Teslarati App for iOS. The times that I’ve driven through Delaware over the years, the only thing I remembered was the Delaware Memorial Bridge. No, it is not time to stop and check in to a hotel, we just started the day for crying out loud. 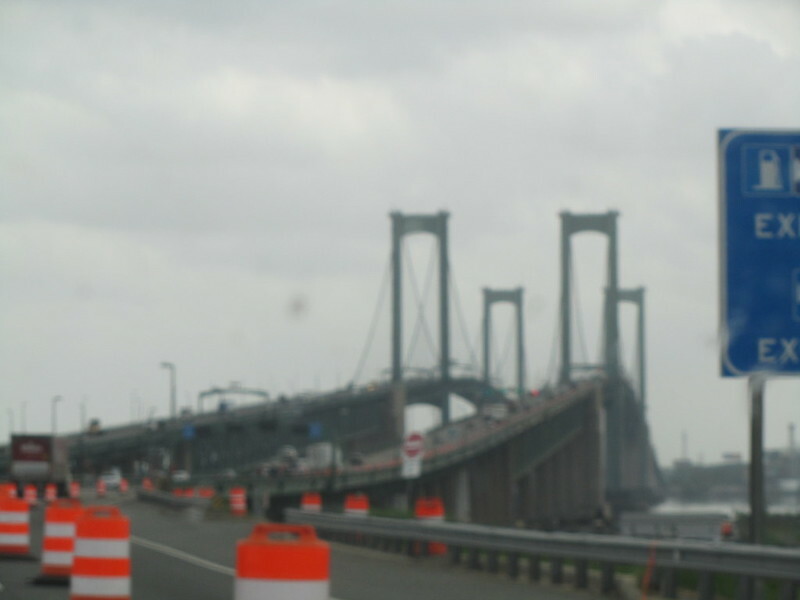 The camera was just out of focus for the bridge and the “Welcome to New Jersey” sign. 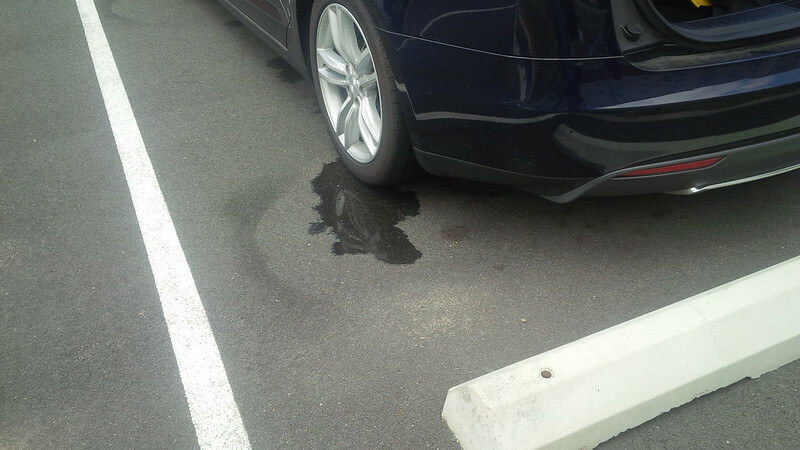 The Hamilton Marketplace Supercharger was the first supercharger in the state of New Jersey and it was the first New Jersey supercharger that we stopped at. 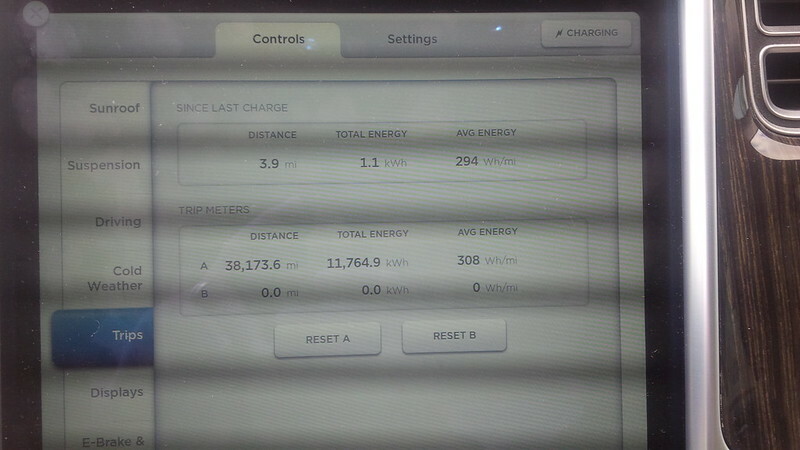 As previously mentioned, we really didn’t need to supercharge there, so we stopped for a quick charge. Went inside the Barnes and Noble. On the way in, I spotted something that made me stop and ponder. I wonder if the Barnes and Noble at the Hamilton Marketplace Supercharger stocked this book by the door, and close to the supercharger on purpose. 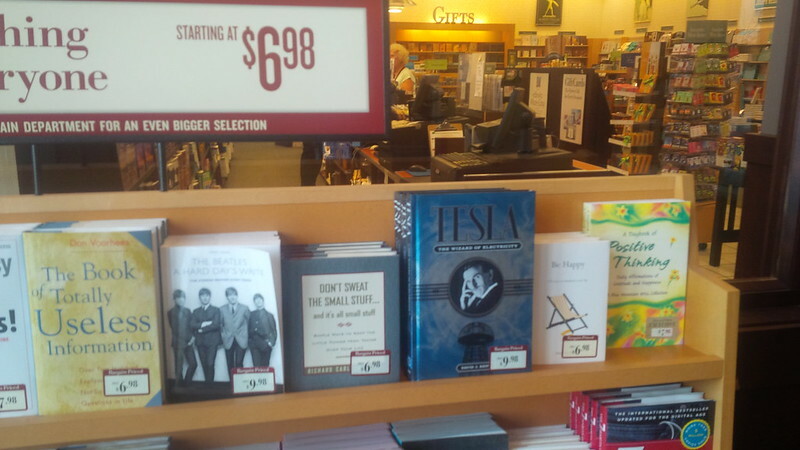 As tempting as it was to pick up a book on Nikola Tesla, I just passed on it. 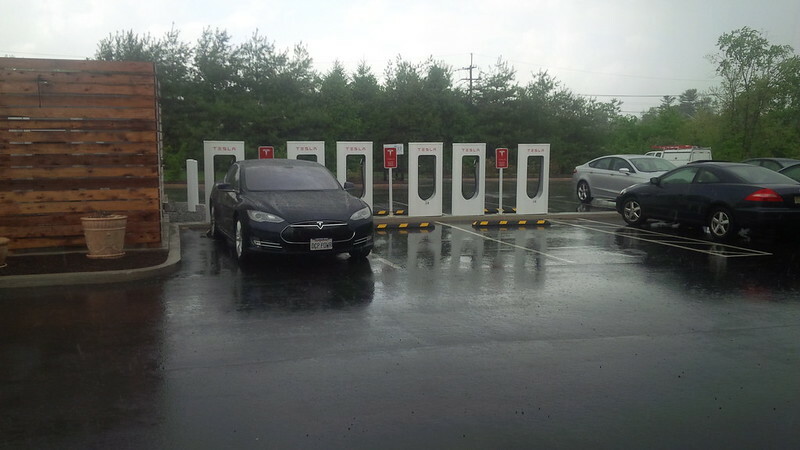 If you do end up at the supercharger at Hamilton Marketplace, NJ, you will note that there is a Starbucks inside the Barnes and Noble. The store hours at this location are 9:00 am – 10:00 pm except on Sundays where it’s 10:00 am – 9:00 pm. 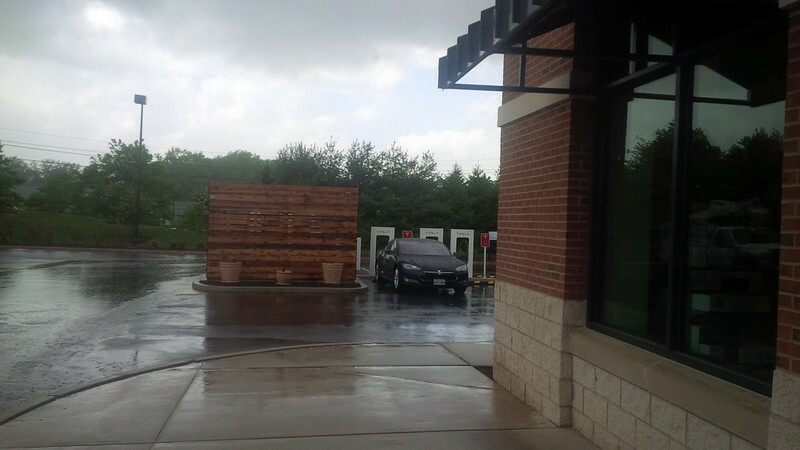 It started raining before we got to the Hamilton Marketplace Supercharger, and it remained actively raining by the time we got parked to charge. So, I waited for the rain to abate a little before I plugged in. 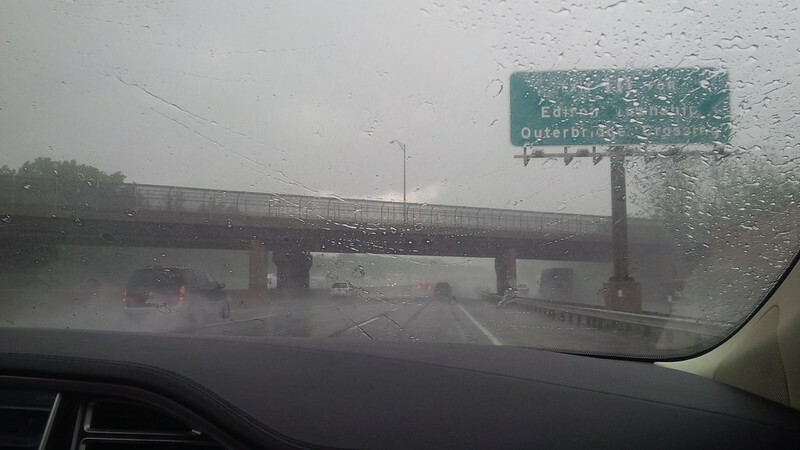 Seeing that it was just raining and not thunder and lighting, we felt that it was safe to charge. shopping mall located superchargers from earlier in the trip. Seeing that it was raining before I ran into the store, I appreciated the fact that the chargers were so close to the store. 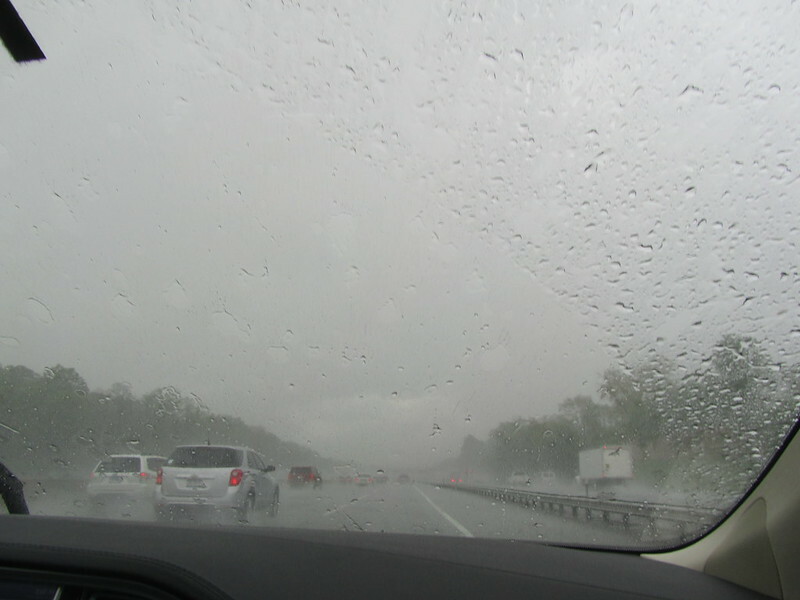 After getting a little charge, we left for the Edison supercharger, and was met by even more rain. Lots of rain. As fast as drivers were going when the road was dry, it was notable how much slower the traffic adjusted to the wet weather. We only had to travel 35 miles to Edison from Hamilton Marketplace. 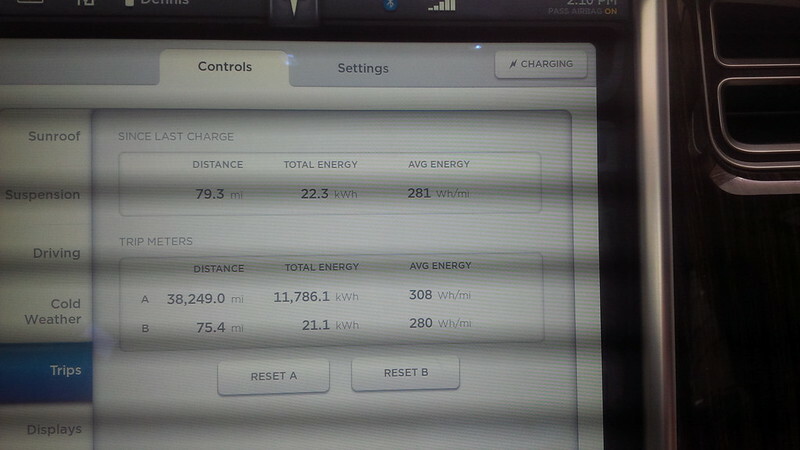 And just like that, we ended up at another mall located supercharger. This time though, the superchargers are at the edge, like most other mall locations in the country. 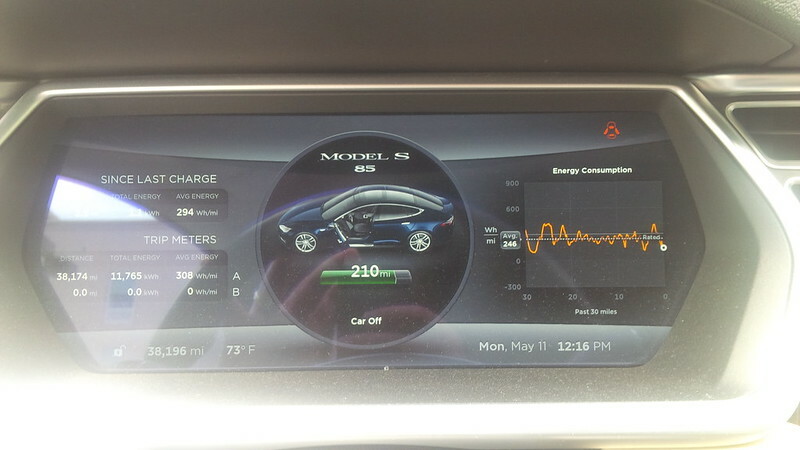 The superchargers are split between two sets of four chargers. There was another Model S from New York a few stalls away, however, it was raining, and we really didn’t socialize. 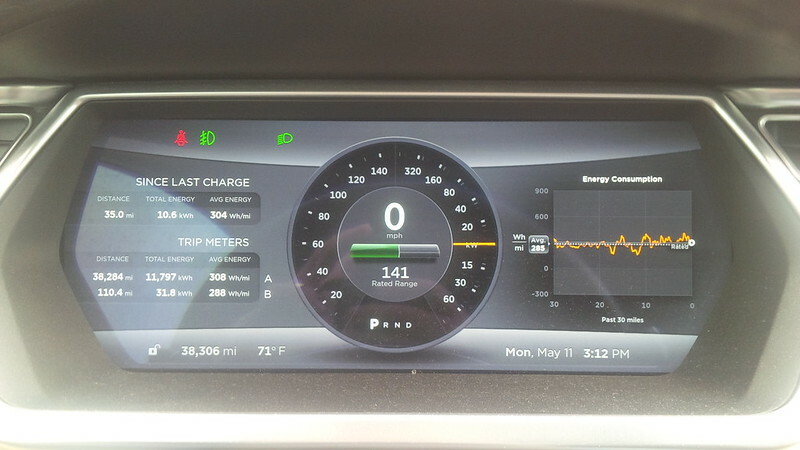 Though we didn’t need to charge to full, we were tracking early for our meetup with the NJEAA guys and gal, so we charged up to not be reliant on any other charging going forward. Nauna’s does offer several charging options, but we’re meeting with other EV drivers, and I didn’t know if any of them would need to use any of the available chargers at Nauna’s. 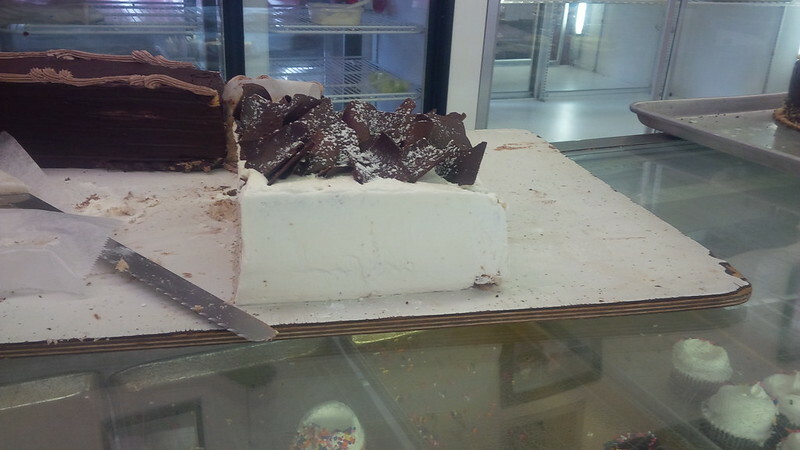 Our first stop, prior to getting to the meetup, was the Brother’s Bakery of Allwood. We got “primo” parking by the bakery. But, getting there when they have banana cake is the real “win” here. Clifton and Montclair are very close to each other. So, we were able to make our meet-up in no time. When we got there, the first ones at the site were Doug Stansfield and Sal Cameli (pictured below left to right). A couple of Leaf guys we met this evening. Sal likes to take photographs of vanity license plates and posting it on Instagram, so apparently we got some likes for our license plate that he posted earlier in the evening (May 11, 2015). I’ve written a review of Nauna’s from 2012. Since we had plans to meet with my cousin for dinner, we just had some appetizers at Nauna’s, I opted for “Grandma’s Rice Balls” and my wife had the “Spinach Ravioli” and they were both satisfying. 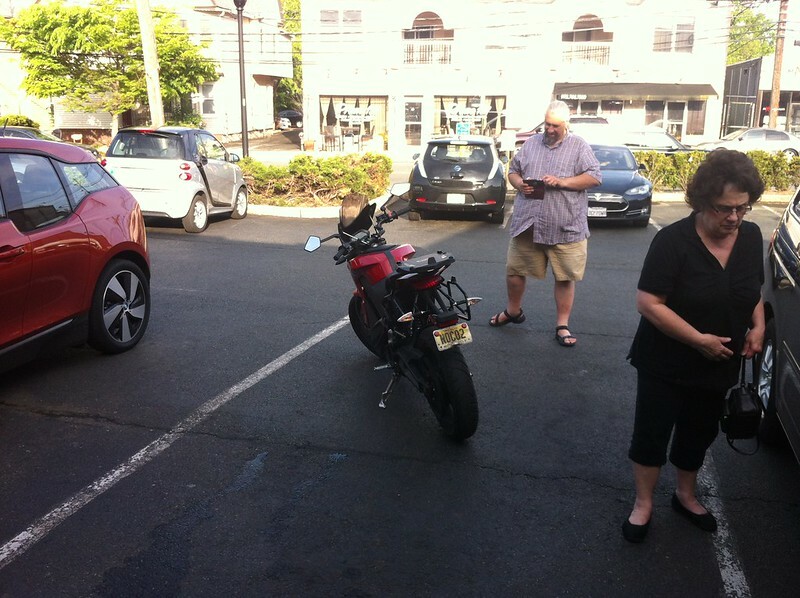 Arriving later in his Electric Motorcycle was Ben Rich (not pictured, but his bike is). 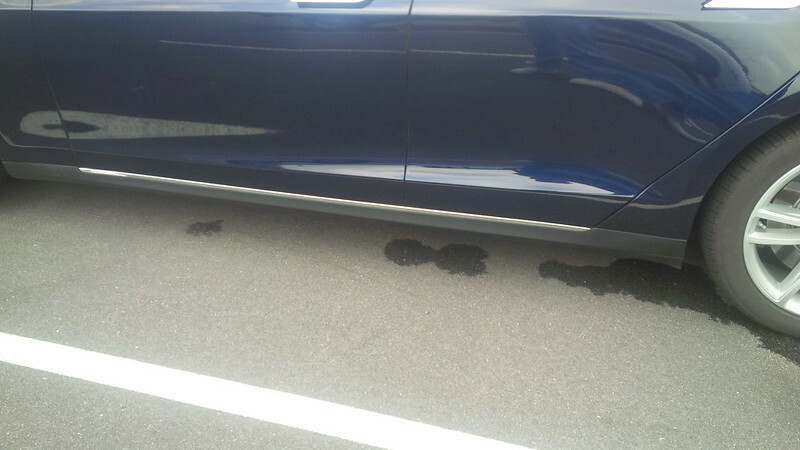 Chris Neff was here in his i3. One of my biggest questions was what car would the Thwaites arrive in? The Roadster? 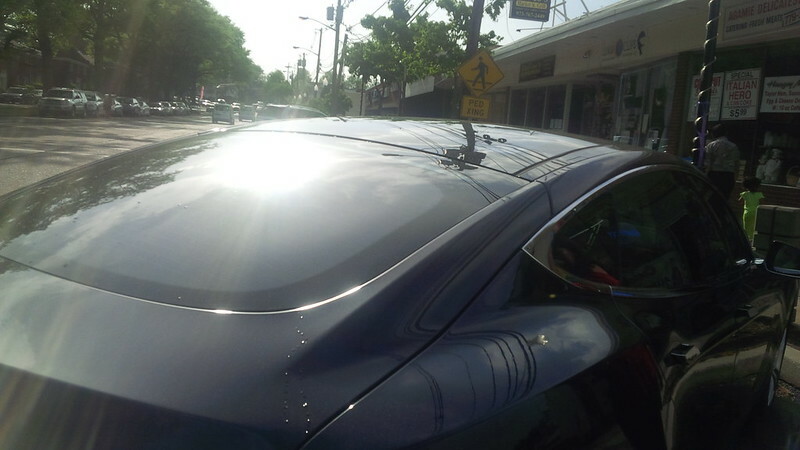 Ford Focus EV? i3? Nope… They showed up in their Electric Smart Car. As tight as the parking lot of Nauna’s became, the Smart did what all Smart cars do, and fit in at a niche. Doug’s Leaf was next and it was parked at the other charger and right beside our Model S.
Airton parked his “Tesla Inside” powered RAV4EV 2nd Generation beside our Model S. Seeing that RAV4EVs are “usually” limited to California purchasers or lessors, Airton is taking a big “risk” in having a compliance EV outside of California. He really enjoys it. 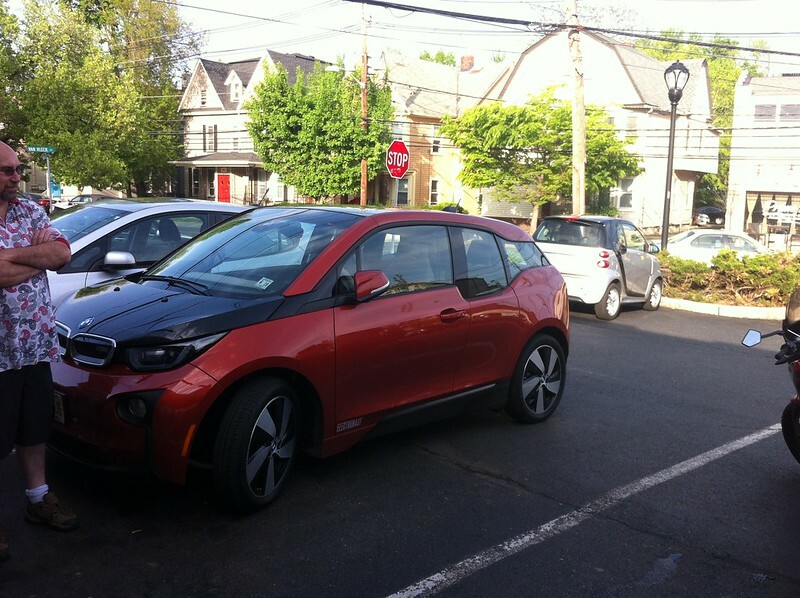 Another shot of Chris Neff’s i3 and Sal Cameli’s “pimped out” Leaf (Sal not only possesses the most complete set of charging adapters for his car, but he also connected the biggest speakers I’ve seen on a Leaf.) And boy did we feel the bass when he drove off in his car. We figured to take a panoramic with the cars, so, pictured here are (from left to right) Sal Cameli, a Nauna’s customer and Plug-in Prius driver whose name escapes me, Tom Moloughney, Michael Thwaite, Pamela Thwaite aka Transport Evolved’s own ElectraGirl, Chris Neff, Doug Stansfield, me, and Airton Azevedo. Not pictured is my wife (who was taking the picture) and, because he had another commitment, EV Motorcycle Rider Ben Rich. I’ve been visiting Nauna’s for a while now… However, usually it’s a picture with Tom and his car, however the red i3 was in for service when we had the meetup, so we didn’t get a picture of Tom’s red i3. So, we took the opportunity to take the picture with our car. After all, we did drive from California for this picture! 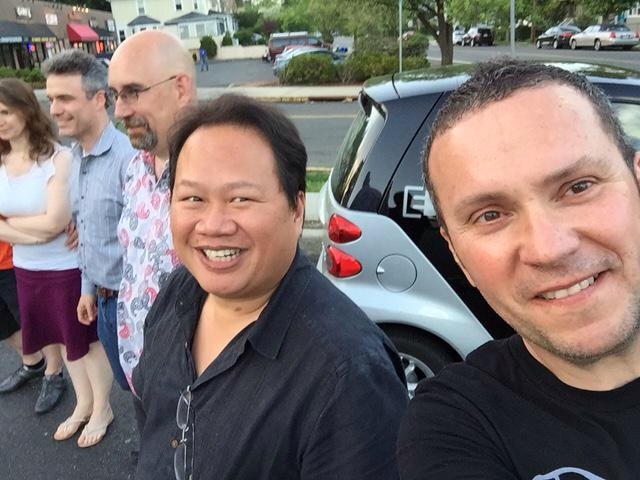 It was a great meet and not only did we just meet a bunch of the Active E guys and gal in real life for the first time, we also got to make some new EV friends with Sal Cameli, Doug Stansfield, and Ben Rich. This dinner was a nice inflection point for the trip. Since we didn’t know where we planned to go to next, we figured to ask our NJEAA friends where to go next, North or South, and it was a unanimous suggestion from the crowd to take advantage of the good weather and go North from New Jersey. So, we figured they were onto something and decided to go to New England. 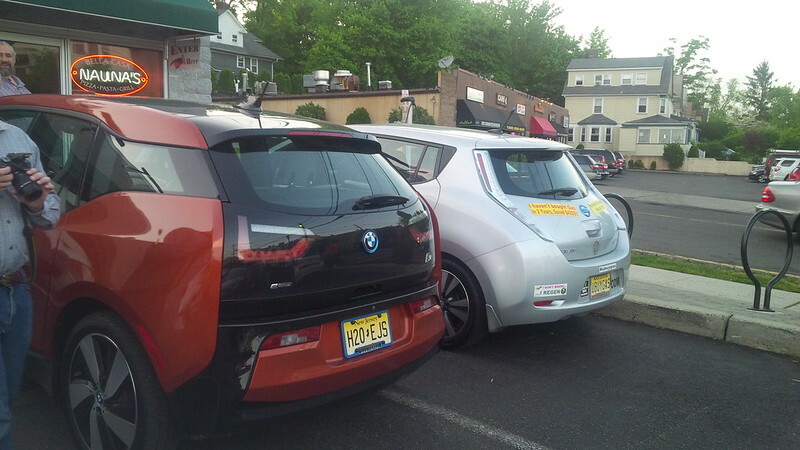 Additionally, the NJEAA had let us know that if we were back in town the following Sunday that they were doing some EV advocacy at the Sustainable Morristown event on the 17th of May. Since we didn’t know where we would be, we made a soft commitment to make it, if we happen to be near New Jersey on the 17th. We figured that we were close enough to New York City and my cousin is reliable for food suggestions that we would go to sushi. 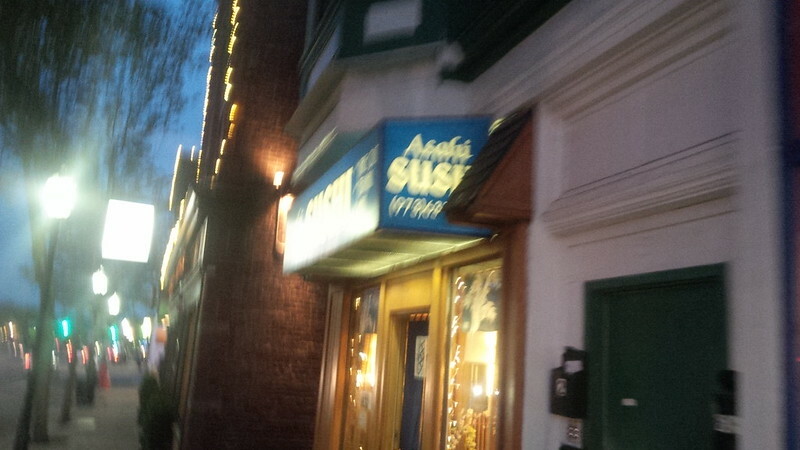 From the EV Meetup at Nauna’s, we proceeded to dinner at a sushi bar in Morristown, NJ called Asahi Sushi. 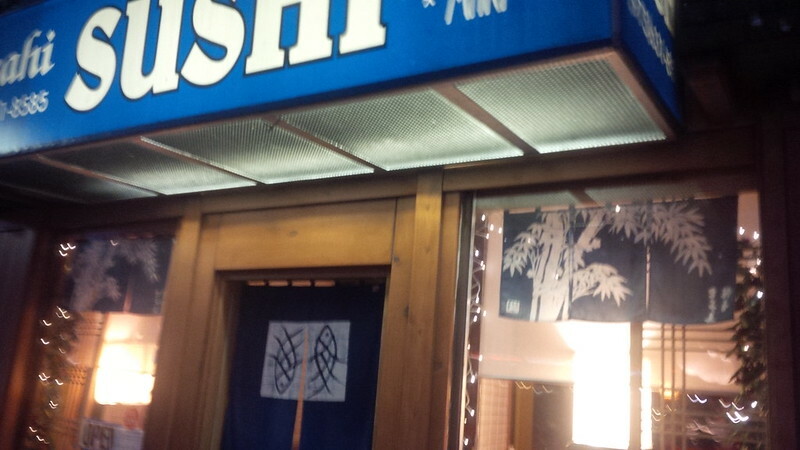 The sushi was very good and definitely worth going back to and we made a mental note to add it to the “good to go back” list. After dinner with my cousin and his wife, we headed back to their place in Randolph, NJ. Randolph is considered rural New Jersey, and our drive back to their home was a little nerve wreaking because of our new-found “nemesis”… The “Deer Crossing” signs. We developed an irrational fear of deer, and there were several points on the drive from Morristown to Randolph that we passed these same signs. I suppose when your only means of getting home is the car that you’re driving in and it’s close to 3,000 miles drive to get back, you get to be a little conservative in your drive. We were also challenged by the quality of the 110V feed in my cousin’s garage. It turned out that his garage outlet was the farthest feed from his main panel, so we found ourselves charging at 6A overnight. That looks to be a 1 mile per hour rate. Seeing that our goal for tomorrow is to visit another cousin (in Long Island this time) I was just trying to not lose the miles overnight. 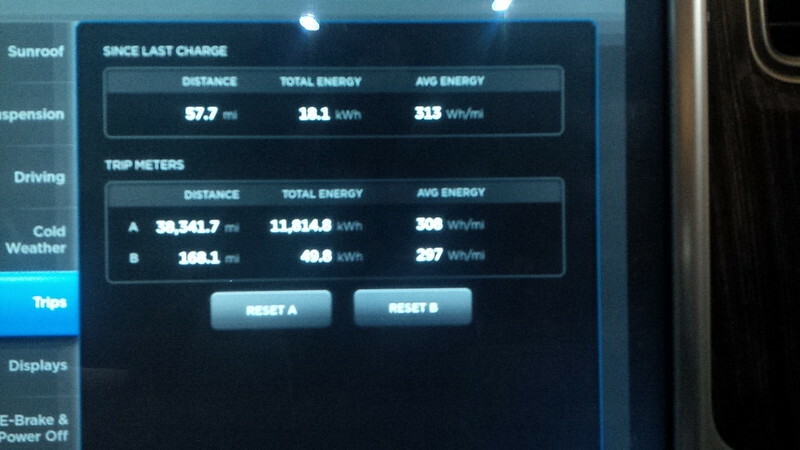 We plugged in the evening at 189 miles of rated range. 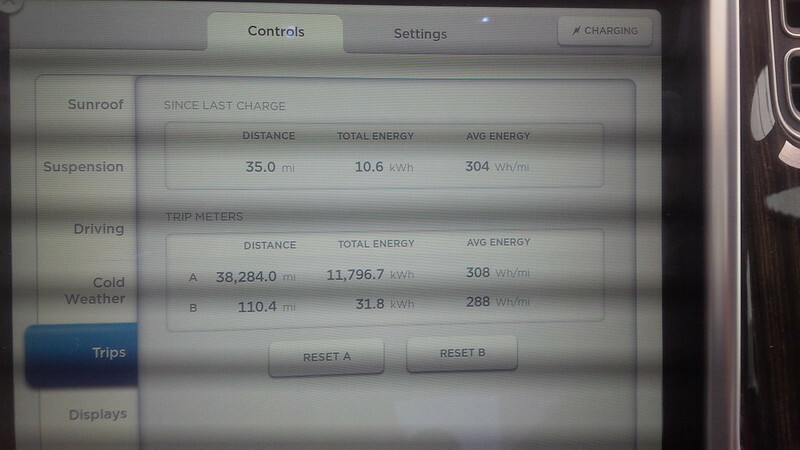 However, throughout the night, the charge kept tripping at 12A then 9A, worked at 6A. It was a pretty fun-filled full day. Short on the miles, but long on the fun. Go on to Day 11. Click here.